Coming up at JATPjazz in Bradford during November / December, we have . . .
p, Kristoffer Wright : d, Paul Baxter : b.
from his latest album ‘The Darkening Blue’ (Whirlwind Recordings). : b, Andrew Bain : d and Brigitte Beraha : voc. Autumn leaves may be falling but there's a lot of special music blooming this month at Seven Jazz in Leeds! 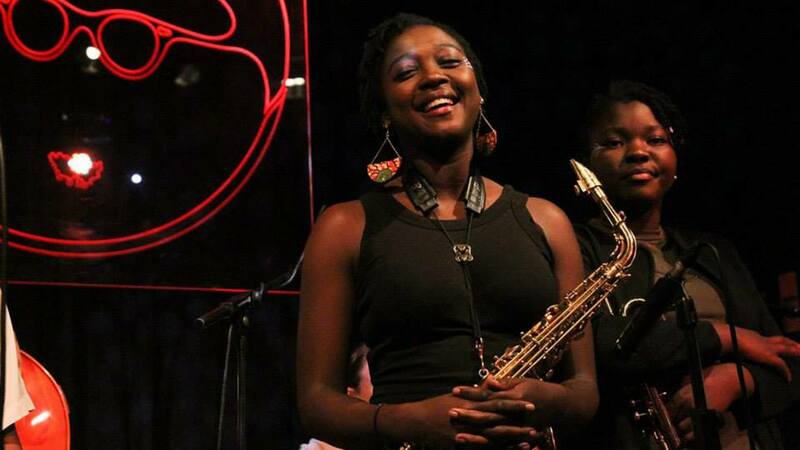 Nérija (pronounced ‘Ne-ree-ya’) began from a Tomorrow’s Warriors initiative seeking to encourage young women to play jazz. Now they are a collective of accomplished musicians playing their original compositions and arrangements. Nérija have toured to Europe in such places as Norway and Germany, recently performing at London’s Ronnie Scott’s and ‘Jazz in the Round’. 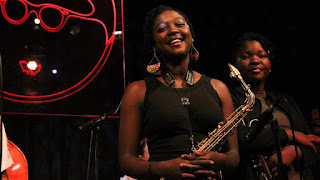 They have also played alongside top UK jazz musicians such as Nathaniel Facey of Empirical and Zoe Rahman. The Paradise trio builds on Richard Iles’s experience of playing with guitarist Mike Walker and pianist Les Chisnell in varied contexts over the past 25 years. Ideal champions of his music inspired by the Jimmy Guiffre trios of the ’60s. 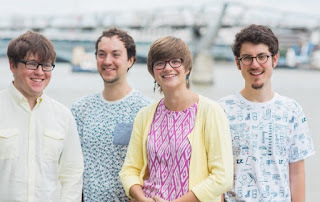 Led by multi-award-winning, BBC New Generation Artist trumpeter and composer Laura Jurd, the band plays music influenced by a wealth of musical traditions including folk, minimalism and rock music. These four powerhouse musicians of their generation never fail to create seismic shifts with the perfect blend of groove, melody and abandon. 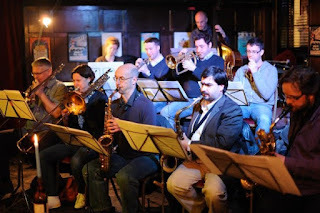 Jim Rattigan: French horn; Martin Speake: alto sax; Andy Panayi: tenor sax, Mick Foster: baritone sax; Percy Pursglove, Robbie Robson, Steve Fishwick: trumpets; Mark Nightingale: trombone; Sarah Williams: bass trombone; Hans Koller: piano; Dave Whitford: bass; Martin France: drums. A very special event as we welcome a fabulous line-up of jazz talent. Playing all original music, French Horn player Jim Rattigan’s 12 piece ensemble Pavillon will take us through two sets combining fantastic musicianship and improvising by some of the most highly-respected names on the UK and international jazz and improvised music scenes. 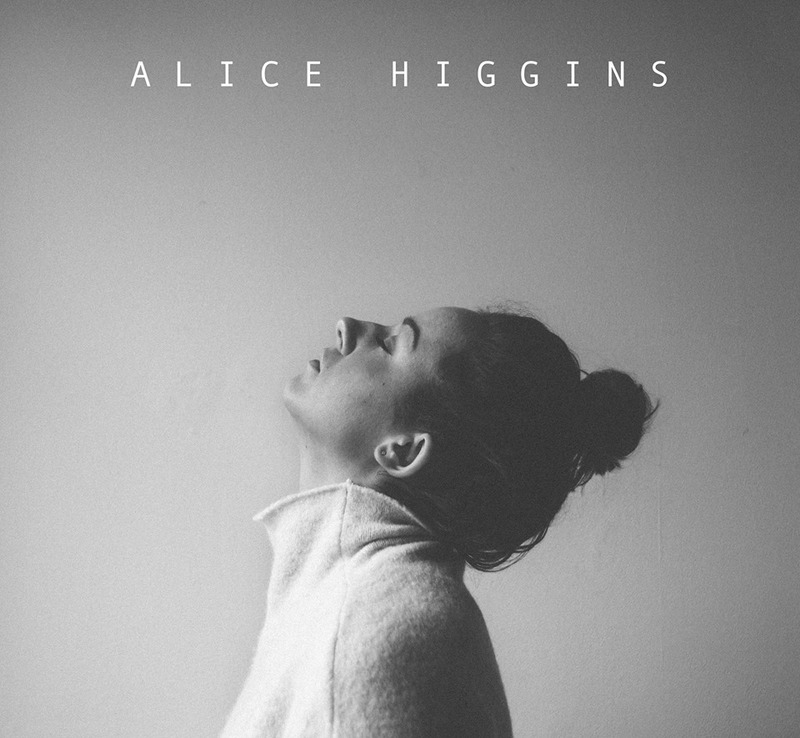 If you like the music of Gil Evans and Mike Gibbs, you’ll love this! Saxophonist and composer Josh brings his Hammond organ quartet of international stars to Seven Arts, as part of a 20 date UK tour, playing music from his new album, Rare Groove, inspired by the Blue Note record label. Jazz Choir/Workshop and Big band Interested in playing or singing jazz? Our Jazz Voices Choir led by Tessa Smith rehearses on Mondays 7-9pm - next on 7 Nov at St Matthews Church Hall, Wood Lane Chapel Allerton, and 14 and 28th Nov at Inkwell. Our jazz workshops taught by Dom Moore and Tom Sharp run on Saturday afternoons fortnightly 2-4pm at Seven Arts -next is Sat 5 Nov, tutor Tom Sharp and our new Seven Jazz Big Band led by Dave Evans rehearses on Thursdays at Gledhow Sports Club on Gledhow Lane. Venues Seven Artspace: 31 Harrogate Road, Chapel Allerton, Leeds LS7 3PD.Tel 0113 2626777. 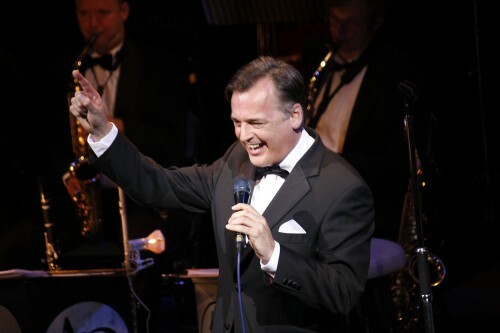 The North East’s major event in November is Mike Durham’s Classic Jazz Party. Formerly the Whitley Bay Jazz Festival, the Village Hotel located conveniently just off the A19, hosts three days of non-stop ‘classic era’ jazz concerts featuring an array of top drawer exponents of the music. Several of the musicians will arrive at Newcastle International Airport from across Europe, USA and as far afield as Australia. Musicians and many of the festival goers will book into the Village Hotel for the duration (Nov 4-6) making the event an extended social occasion. Jean François Bonnel (France), brilliant percussionist Josh Duffee (USA), violin virtuoso Emma Fisk (County Durham!) and Jim Fryer (USA) are just some of the many participants at this year’s gathering. Elsewhere in the region regular gigs and touring artists offer numerous opportunities for the jazz fan to get out and about – here’s a selection. Nov 12 (a Monday) sees the return of the Cookers. One of only four British dates, Sage Gateshead is the place to be to hear one of the great line-ups in jazz; David Weiss, Eddie Henderson, trumpets, Billy Harper, Craig Handy, reeds, and the rhythm section, Danny Grissett, piano, Cecil McBee, double bass and Billy Hart, drums. Don’t miss this one! 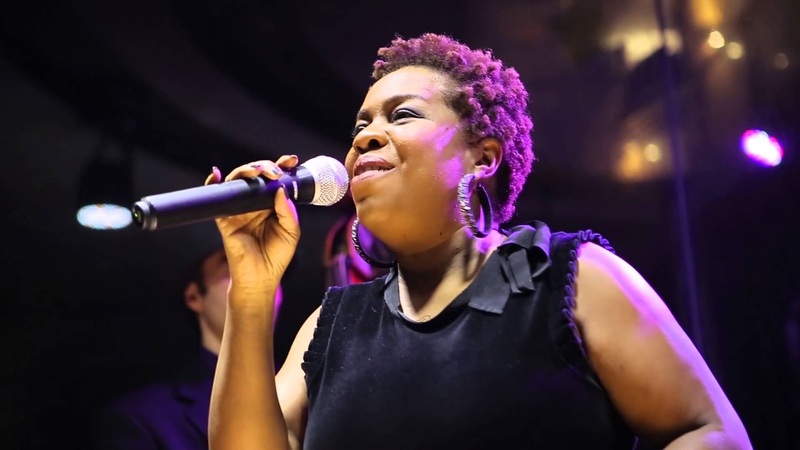 American vocalist Coco Rouzier makes a welcome return to Newcastle’s Jazz Café (Nov 4) following her scintillating performance at this year’s late night jam session during the Gateshead International Jazz Festival. 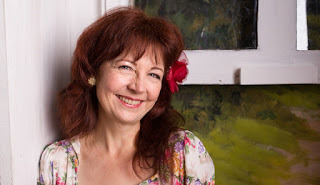 The expressive singer (think Sarah Vaughan) will be working in the company of the Peter Gilligan Trio. 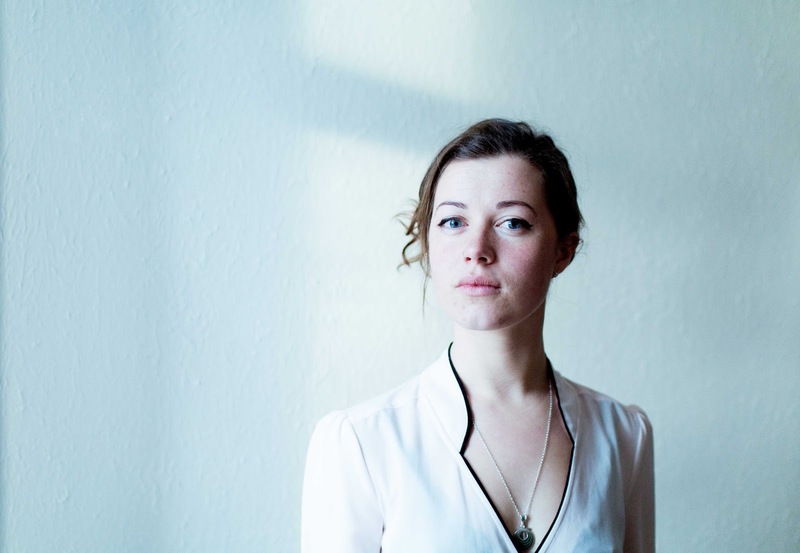 On the same date down the road in Saltburn at the Community Hall Tyneside’s Zoë Gilby is sure to attract a full house. The Lindsay Hannon Plus (fronted by Northumberland-based vocalist Hannon) returns to the Traveller’s Rest, Darlington on Nov 18. On the same night there is much to choose from: the Tyne Valley Big Band performs in concert at King Edward VI School, Morpeth, Jazz Invaders (a blast from the past!) reform to play a gig a Jazz Co-op gig at the Globe, along the road at the Jazz Café there is Olivia Moore’s Unfurl (a quintet on this occasion), and Hoochie Coochie favourite Ray Harris is in town. Josh Kemp plays the Globe on Nov 26. Two much hyped acts – The Bad Plus (Nov 8) and Robert Glasper (Nov 17) – rock up at Sage Gateshead, and across the month Jazz North East presents a variety of saxophonists including: Hans Peter Hiby (Nov 6) at the Bridge Hotel, American Greg Abate with Paul Edis, Ken Marley and Russ Morgan (Nov 11) at the Jazz Café and New York-based Josh Sinton Trio (Nov 13) at the Bridge Hotel. A fourth reedsman, Tommaso Starace, plays at the Jazz Café on Nov 29. 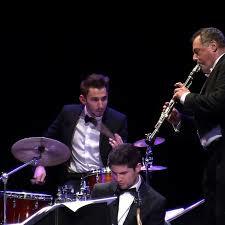 Abate and Edis play Durham’s Gala Theatre (1:00pm) Nov 11. Durham’s Empty Shop continues to attract capacity audiences. In the shadow of Durham Cathedral and surrounded by Durham University’s many colleges, the 35c Framwellgate Bridge venue is frequented by students and a few older hands. Tyneside-based Francesco Falcioni brings in his quartet on Nov 3 prior to the pianist’s relocation to London, and an altogether different quartet – Robocobra – from Belfast return on Nov 9. Drummer Abbie Finn fronts a Leeds College of Music trio at Darlington’s Quakerhouse pub on Nov 13. Multi Grammy Award-winning US Pianist/Producer Robert Glasper (pictured) headlines the international line-up for Hull Jazz Festival 24th Winter Edition, performing with his band Robert Glasper Experiment on Friday 18th November at Hull Truck Theatre. 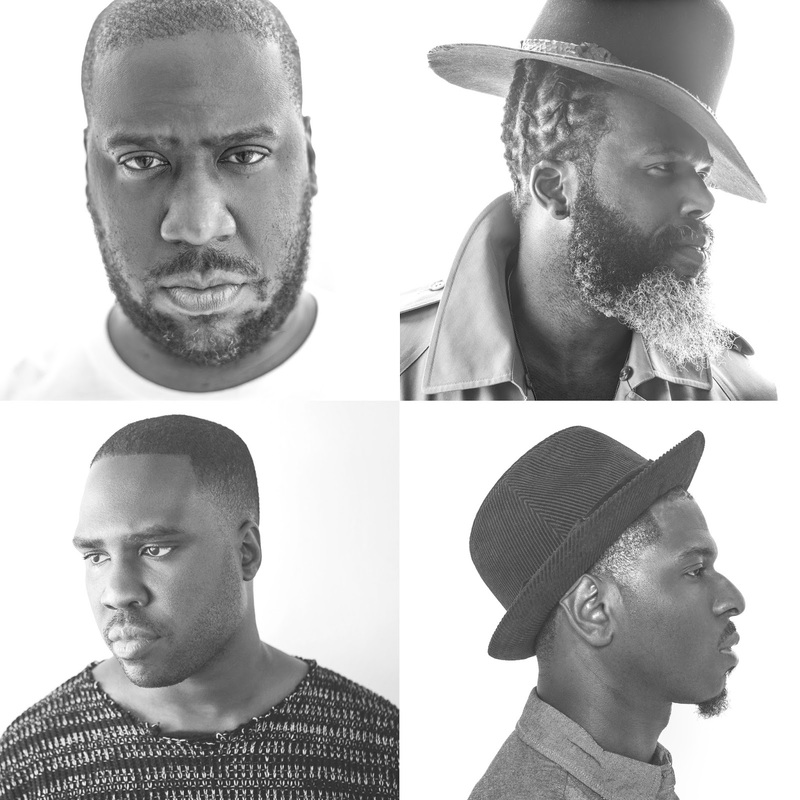 Glasper, known for his genre-defying collaborations with artists including Stevie Wonder, Erykah Badu, Mos Def and Jay-Z, will be performing tracks from the Experiment’s new Blue Note album, Artscience, ahead of their headline show at London Jazz Festival. The festival opens at Hull Truck Theatre on Tuesday 15th November with Grammy-nominated vocalist Stacey Kent. She’ll be performing tracks from her new album Tenderly, a collaboration with renowned Brazilian guitarist-composer-producer Roberto Menescal, one of the founders of bossa nova. On Thursday 17th November, vocalist Sarah Jane Morris and guitarist Antonio Forcione come together to perform tracks from their new album Compared to What, the result of a fruitful and varied songwriting collaboration. The programme continues on Friday 18th November when the University of Hull present Phil Robson Organ Trio. The all star band features versatile guitarist and composer Phil Robson, Hammond virtuoso Ross Stanley and powerful drummer Gene Calderazzo. On Saturday 19th November young local jazz talent takes the spotlight as Hull Jazz Festival’s collaboration with Hull Music Hub sees the combined talents of the City of Hull and East Riding Youth Jazz Orchestras take to the Hull Truck stage. The show also sees the Jazz Festival debut of Hull Big Band, featuring 17 of the region’s leading young players. 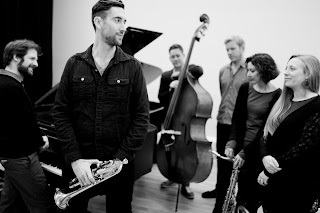 Saturday’s programme at Hull Truck Theatre continues with Tom Harrison Quintet, the stunning new project from rising star saxophonist Harrison. Joined by internationally-acclaimed vocalist Cleveland Watkiss, the chordless lineup of five unique instrumental personalities will interpret the music of the great Duke Ellington. 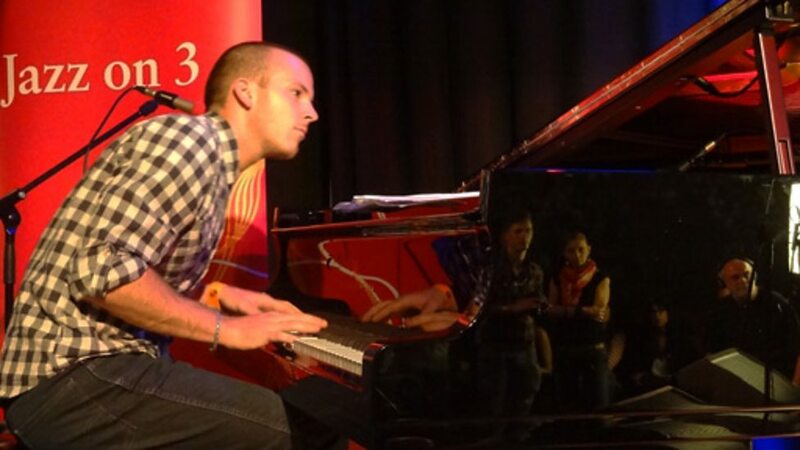 The jazz-inspired singer-songwriter Tom Townsend brings a cracking band of world-class players to Otley's Courthouse on Friday 28th Oct for an exciting night of foot-stomping fun as part of his Autumn tour. One of the finest venues in the area, the Courthouse promises a experience to remember. Tickets £10 from Otley Courthouse Box Office on 01943 467466 Music starts at 8pm. Leeds Jazz Club needs help! Hi all. Sadly Leeds Jazz Club will be closed tomorrow and for the foreseeable future. Other commitments have got in the way and I can no longer run the club as efficiently as I would like. Leeds Jazz Club would like to thank all it's patrons and the bands that have supported the club over the years. If anyone would like to take over the club, either as a single person or as a committee then please do message for details. 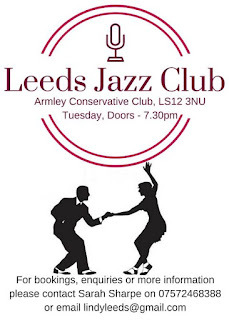 The Leeds Jazz Club has been offering traditional jazz at various venues for almost the last 50 years. 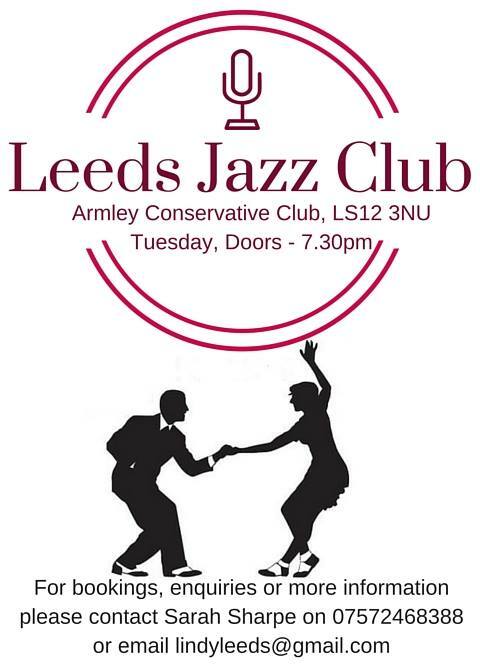 Their current venue was Tuesdays at the Armley Conservative Club, offering a night of live music. They had different bands throughout the year, so it always stayed fresh, covering genres like trad, dixieland, swing and smooth. It was the perfect excuse to put your dancing shoes on for a night of jives and windy hops. It'll be sad to see it fold - do spread the word! ** Just in - the latest (good!) news is that Malcolm Ford one of the Leeds JC regulars has agreed to take on the Leeds JC with some guidance from longtime promoter John Wall. 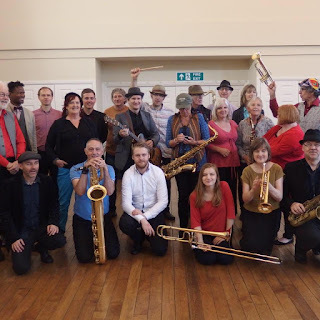 The first night under the new management will be the Tame Valley Stompers on Tuesday 1st November and the wonderful Tom Sharp Big Band on Tuesday 8th November. ‘Wandering Monster‘ is the outlet for the compositions of Leeds based bass player Sam Quintana. 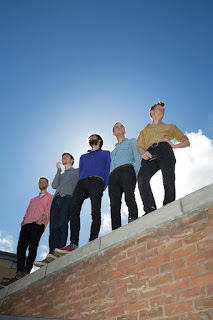 The outfit features five of the finest and most active members of the Leeds jazz scene. Though they are accomplished as individuals, when together they form an entity greater than the sum of it’s parts: a monster- wandering… roaming…searching for off-kilter grooves, dynamic melodies and frantic free sections. 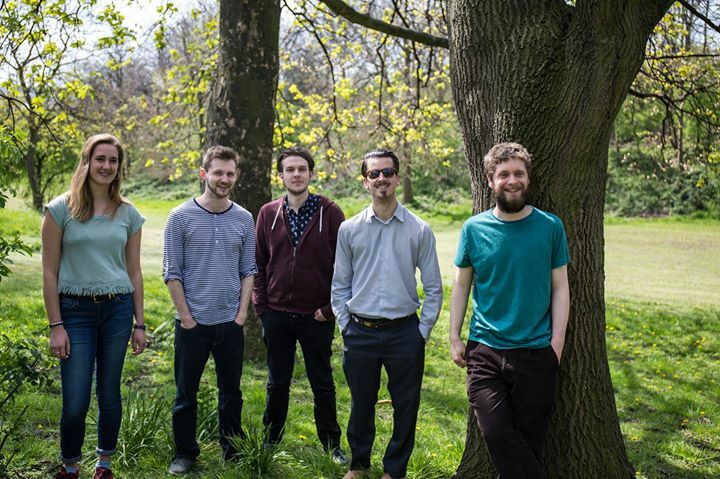 They have been awarded the opportunity to perform at a number of high profile jazz festivals across The North through the Jazz North Introduces scheme. 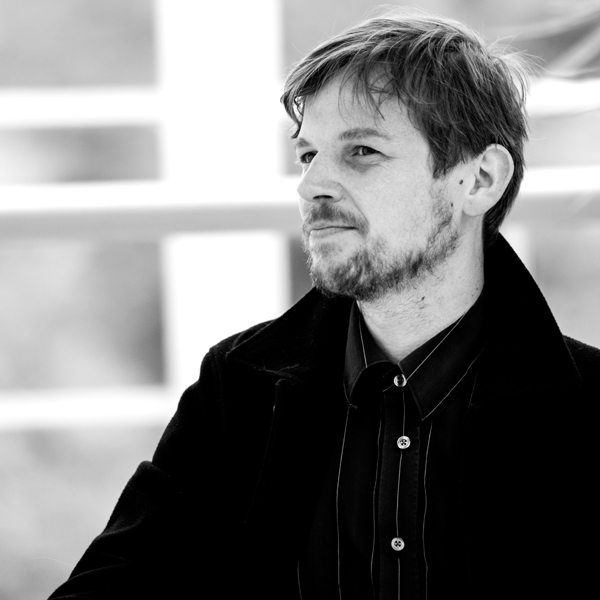 Pianist Jamil Sheriff releases his first album for trio on 30th October accompanied by a UK tour. Jamil Sheriff is known throughout the UK Jazz scene for his lyrical and rhythmic approach to original music. 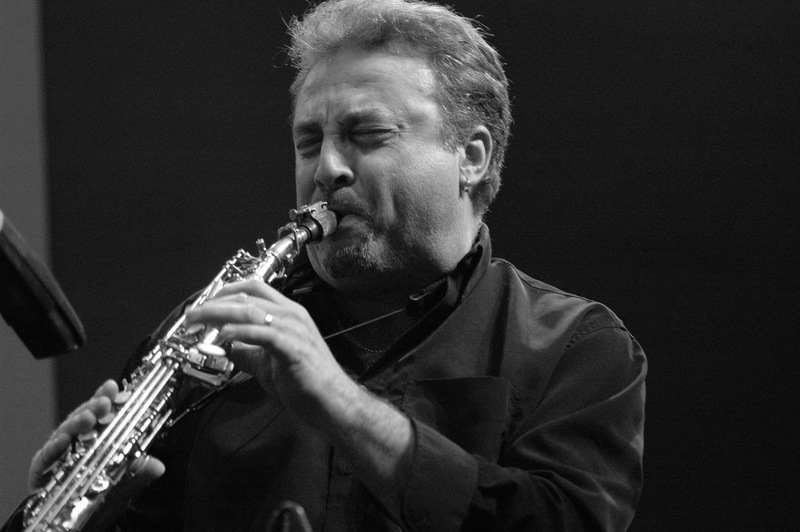 He has garnered praise from Jazzwise, JazzUK, The Times and The Guardian for his previous medium and large ensemble recordings. On 30th October he releases his first trio album “Places Like This” the album will be accompanied by a UK tour. Check out the album preview here. One of the most highly regarded jazz guitars in the world will play a one-off performance in Leeds on November 9th . Gilad Hekselman is one of the most talented and well respected guitar players in the world today. First gaining recognition after winning the 2005 Montreaux Jazz Guitar competition, he has gone on to play, perform and record with artists including Mark Turner, Jeff Ballard, Esperanza Spalding, Jeff 'Tain' Watts, Avishai Cohen and John Scofield. To date he has released 5 albums as leader, his latest being Homes in 2015. For one very special Leeds appearance, Apollo Jazz Network is thrilled to welcome Gilad Hekselman, Joe Martin and Kush Abadey for an intimate trio performance that is not to be missed. The gig takes place at Wharf Chambers and is hosted by Kim Macari's Apollo Jazz Network in collaboration with bassist and Sela Bar jazz promoter Tom Riviere. The gig at UCC on 26th of Oct features Eleanor Begley a young singer who is currently living in Leeds. She has performed at the club before and went down very well. Also, we have two old friends of mine Trevor Vincent will be performing on trumpet and flugel horn and Paul Conway will be on keys once again. So its shaping up to be great night so get down early to grab the best seats. We've already had two tremendous gigs at Crookes Social Club and this week we have a third . 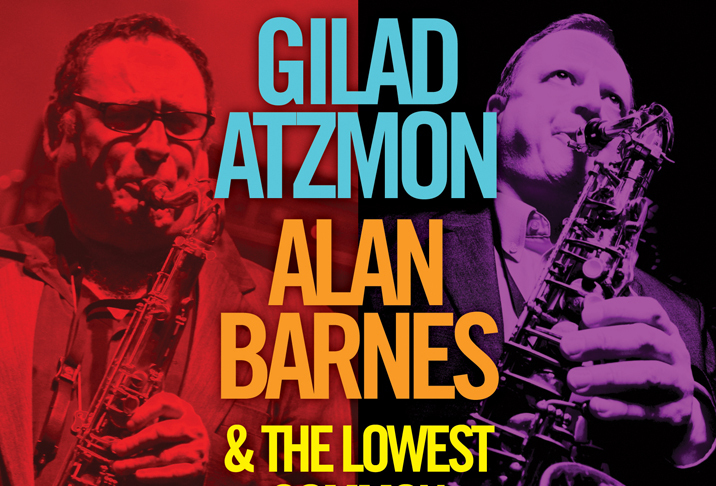 At 20.00 on Friday 28th October, we have Alan Barnes and Gilad Atzmon, two Sheffield favourites who also happen to be two of the UK's most celebrated reed players. 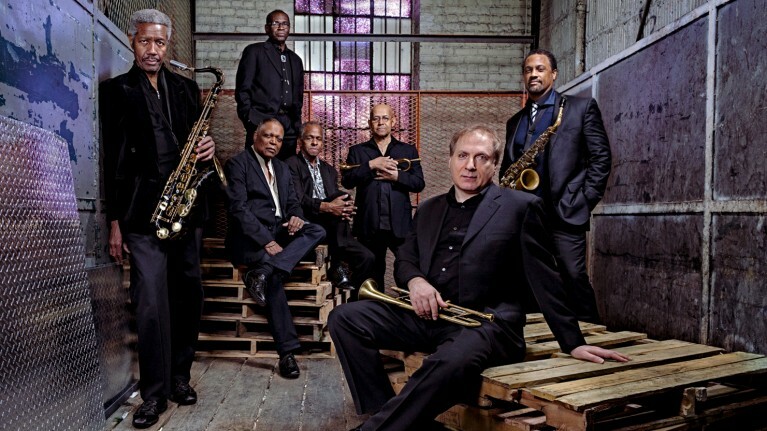 They join forces here in what promises to be the ultimate jazz night, as despite their different backgrounds and approaches they share a passion for performance and a firm belief that a jazz audience above all is to be entertained. 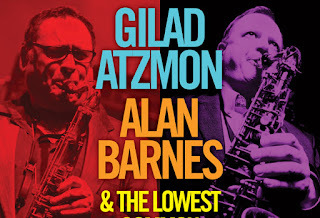 Alan Barnes: soprano, alto, and tenor saxes, clarinet, accordion; Gilad Atzmon: alto, baritone saxes; Frank Harrison: piano and electronics; Yaron Stavi: bass; Chris Higginbottom: drums. What's in a name? LoveOakwood festival get the big band! If you saw the Festival Big Band at Chapel Allerton Festival, you won’t want to miss this gig! And if you missed it, now’s your chance to see us! We are playing as part of the Roundhay & Oakwood Festival. The band has had several names: Festival Big Band; Seven Jazz Big Band; Mojo 78 Big Band. But it’s the same great 20+ band, with a few changes in personnel, and led by Dave Evans. We play classic & modern Big Band Jazz, with a touch of South African Township Jazz for good measure. Thursday 27th October, Doors 7-30 pm. Established six years ago as the current line-up CDF# consists of the three members Christopher Hodder (Guitar), David Minshull (Drums / Percussion) and Frank Flynn (Piano / Keyboard). The groups direction is driven by their mutual respect for each others musical ability and talent. Although no real leader in the trio each member is encouraged to take the initiative and move the music forward in different directions. 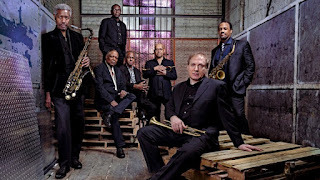 Influences for the group come from such artists as Weather Report, Stevie Wonder, The Beach Boys, Billy Joel, David Bowie, The Yellow Jackets, Michel Camilo, Hiromi, Errol Garner, Oscar Peterson, Ravel, Mozart etc. £10 Adults / £5 students - tickets available online, via Café Society (HD1 1DR) and via the iPoint reception in Huddersfield University. Southport Melodic Jazz celebrates it’s end of 2016 season with a bumper double bill concert at Southport’s Royal Clifton Hotel on Sunday 11 December 2016. 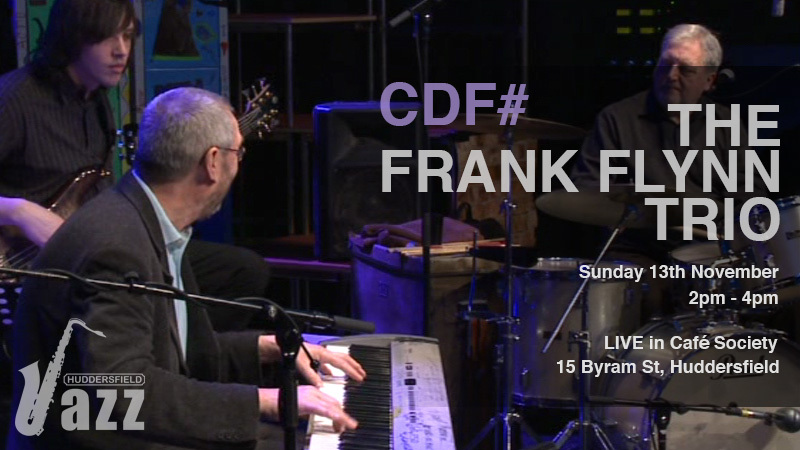 Playing the music from the Count Basie Orchestra’s iconic collaborations with Frank Sinatra and Ella Fitzgerald. Special guest vocalists ANDY PRIOR and EMMA HOLCROFT. The gig includes music from the celebrated recordings with Sinatra at The Sands Las Vegas. UK’s number one jazz clarinettist Pete Long reprises the Benny Goodman ‘vibes quintet’ repertoire with a stellar line up. 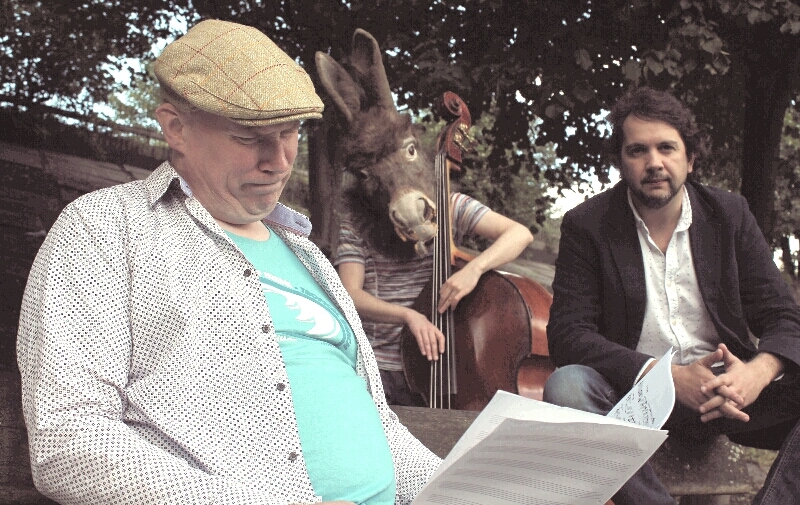 PETE LONG, ANTHONY KERR (vibes), ROBIN ASPLAND (piano), PAUL MORGAN (bass), BOBBY WORTH (drums). As well as ‘Airmail Special’, ‘Avalon’, ‘Flying Home’ and other Goodman classics, expect to hear the Goodman treatment applied to later music by Horace Silver, Billy Strayhorn and Cool and The Gang! Tickets £16 each concert or £30 combined. This is for Norvoljazz members who fit into the categories of voluntary and small to mid scale promoters that might be interested in seeking funding from PRSF. PRSF is hosting a meeting about their funding schemes during the London Jazz Festival on Sunday 13th November. As many of you will know, JPN has approached PRSF several times to ask whether they intend to revive the funding scheme for jazz promoters formerly run with Jazz Services. Emily Saunders has also had a meeting with PRSF on the same subject. We feel that the discontinuation of this scheme (the Jazz Promoters Awards) has created problems for many promoters and weakened the infrastructure of jazz promotion in UK. How time flies! can you believe it, Friday 4th November will mark Sue Parish`s eighth annual visit to Jazz in Hornby. Accompanying her will be her all star trio of Paul Kilvington, piano, Ed Harrison, double bass, and Hugh Lawrence, drums. Of course I`m not privy to her set list but we can be sure that she and the band will be swinging at all tempi, and she`ll spring us some exciting surprises. Inside Outside Jazz Duo start the season in the intimate and atmospheric setting of Delius Arts and Cultural Centre. 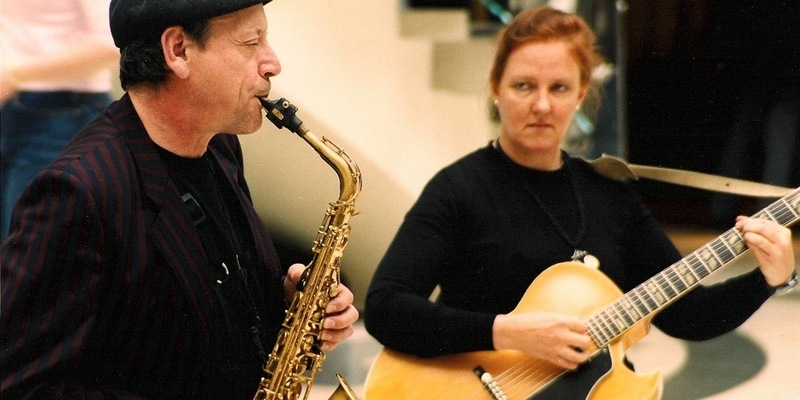 Renowned jazz guitarist Kathy Dyson with her partner John Dyson on alto, tenor and soprano saxophone will be playing their own compositions described as “compelling linear jazz with the accent on sensitive interplay and two-part invention” (Jazzwise magazine). Doors open 7.30 for an 8.00pm start on Friday 14th October. The venue is fully accessible and there is a delightful bar. Tickets are £10 full price, £8 concessions and £5 student special. THE Musical steal of the century - a real beacon of originality. Compared with Esbjorn Svensson Trio, Avishai Cohen and Jarrett/Haden/Motian, their unique blend of accessible, melodic compositions, fiery, expansive improvisation and engaging stage presence make them an unmissable band. Johnny Tomlinson : p, Kristoffer Wright : d, Paul Baxter : b.
John Etheridge is one of the UK's World Class guitarists and returns to Glyde House Bradford to continue the missionary work of last year when he razed Glyde House to the ground (musically!! it is a listed building after all??) with a stunning display of just why he is one of maybe 4 or 5 UK Worldbeaters. Come see what all the fuss is about. If you're a guitar geek, you can't go wrong for £7 - it's a steal. This busy stop off point on the ever growing Leeds scene run by saxman Ben Powling every Wednesday in Hyde Park, with a house band performing from 8pm and a jam session from 9 til 11. Friday 28 Oct Alex Podraza Quintet - ace Leeds pianist and quintet- will they all fit in? Tim Garland is one of the most versatile musicians in the UK. Highly skilled as an instrumentalist, composer and bandleader, Garland has developed a highly original voice with a marriage of diverse influences combined with unique and varied line-ups. This band features Asaf Sirkis, Jason Rebello and relative newcomer Ant Law on various guitars (including 12 string and 8 string). Celebrating their 30th anniversary in 2016, The Necks offer a phenomenal musical experience, unlike any piano trio you may have heard. Over 30 years they have honed an assured process of building around repeated motifs through subtle shifts and layering to produce an extraordinarily dense and hypnotic effect, which builds in a mesmerising, epic fashion. The Necks may be a trio but they conjure a sound of orchestral expanse. Hard hitting, classic American hard-bop from an all-star sextet led by legendary Herbie Hancock trumpeter Eddie Henderson and the great saxophonist Billy Harper, whose titanic saxophone playing is one of contemporary jazz’s most powerful sounds. 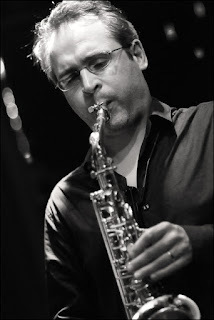 Charlie Hunter – Guitar Bobby Previte – Drums Yelfris Valdes – Trumpet Kieran McLeod – Trombone. Hailing from San Francisco, Charlie Hunter is one of the most exciting jazz guitarists working today, and one whose style is genuinely unique. Hunter’s primary influences are jazz great Joe Pass and the fluid Tuck Andress, both six-string guitarists adept at blending bass notes into standard guitar melodies to make themselves sound like two musicians at once. Marsden Jazz festival starts this Friday!